Mercy Residents Attend Fervent Tour Feat. Priscilla Shirer and Anthony Evans. 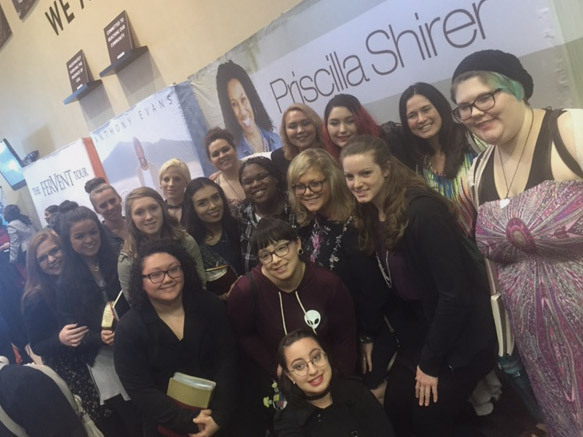 Last Saturday the Sacramento Mercy residents attended The Fervent Tour, featuring New York Times best-selling author Priscilla Shirer and worship leader/songwriter Anthony Evans at Destiny Christian Church. 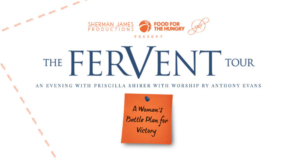 The Fervent Tour was inspired by Priscilla’s recent book Fervent: A Woman’s Battle Plan to Serious, Specific, and Strategic Prayer, released after the movie premiere of War Room. Anthony Evans opened up the evening with worship and also performed songs from his new album Back To Life. Following worship, Priscilla Shirer led a time of prayer. Priscilla led everyone in praying for the relationships, health, churches, and freedom of those present. Prayer requests from each guest present were also taken. During her time of teaching, Priscilla shared a message from Ephesians chapter six. 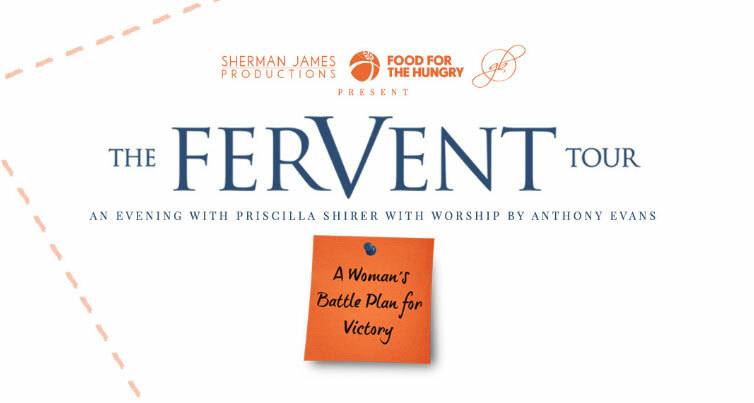 She introduced prayer as the seventh piece of the spiritual armor of God. She walked through the passage outlining the armor that we are to outfit ourselves with in order to engage in spiritual battle. Priscilla challenged all present to incorporate the spiritual armor of God with a lifestyle of fervent prayer. We are especially thankful to Destiny Church and Pastors Greg and Kathy Fairrington, who gifted the Mercy residents with tickets for this amazing night of worship and dynamic speaking! The Mercy residents were deeply impacted by the entire event! Mercy Multiplied is so thankful for the ministries and support of both Priscilla Shirer and Anthony Evans! On April 21-22, Anthony is set to lead worship at our Freedom Experience at Seeds of Greatness Church in New Castle, DE. Register now! 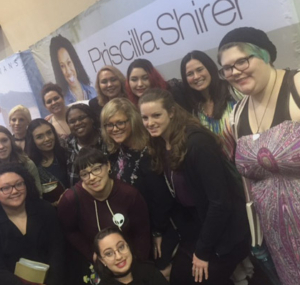 And in case you missed it, check out Mercy Multiplied on Priscilla’s show The Chat!